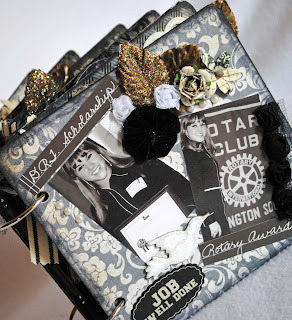 Anita Scroggins designed this fun layout. She used Authentique's Gathering collection. 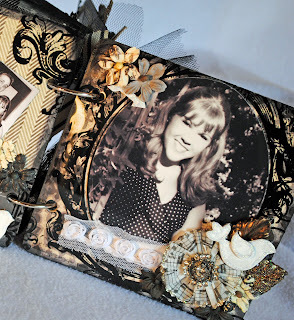 Maya Road fabric flowers, chipboard scroll, and journaling tag. Anita uses so many amazing layers of Maya Road chipboard and kraft. 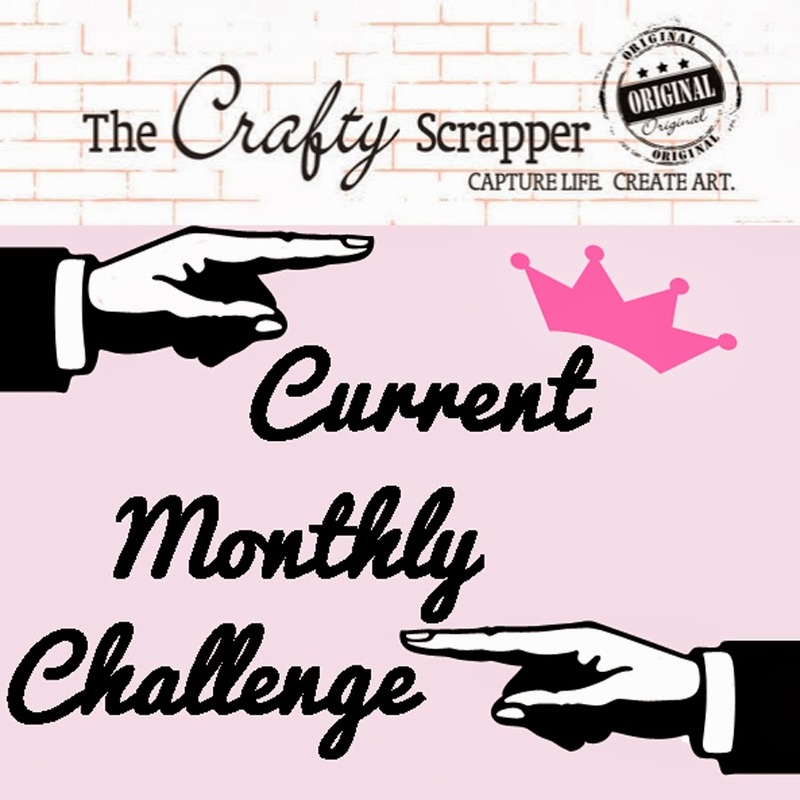 Be sure to check out her work next time you're at The Crafty Scrapper! 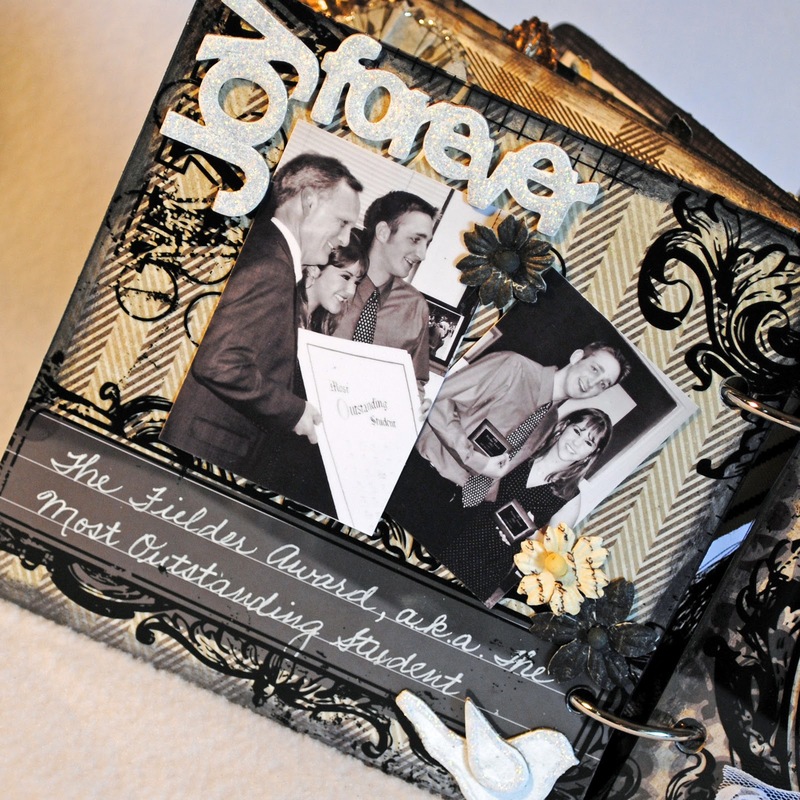 This gorgeous layout was created by design team member Anita Scroggins. The paper is BoBunny's Smoochable collection. We love all the amazing details. 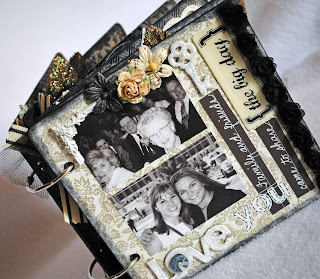 You can check out this layout, and more at The Crafty Scrapper! She used Bo Bunny's Enchanted collection. 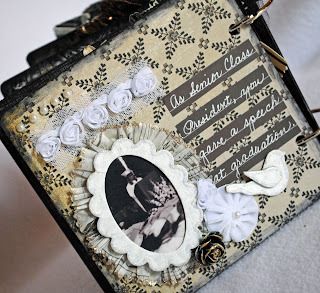 You can see this layout and more inspiration at The Crafty Scrapper! Hope we see you soon! Here's a little bio from Anita. 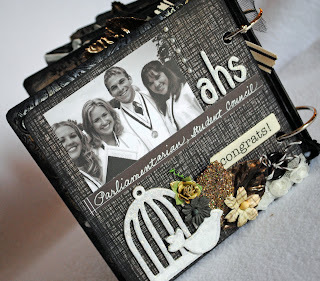 I have been scrapbooking about 10 years now, but my love affair with paper and such started way back in grade school with an addiction to school supplies. The start of school was my favorite time of year - new papers, pencils, notebooks! As I got older I moved onto office supplies to supply my addiction. When we took a family vacation to Disney World I decided to do ONE little scrapbook about our trip. I was hooked. Who knew you could buy so many cool things???? Now I have a custom built studio and every Prima flower known to man. I am so happy here in my creative space. I have been married to a wonderful man who indulges my addiction without too much fuss for 23 years now. 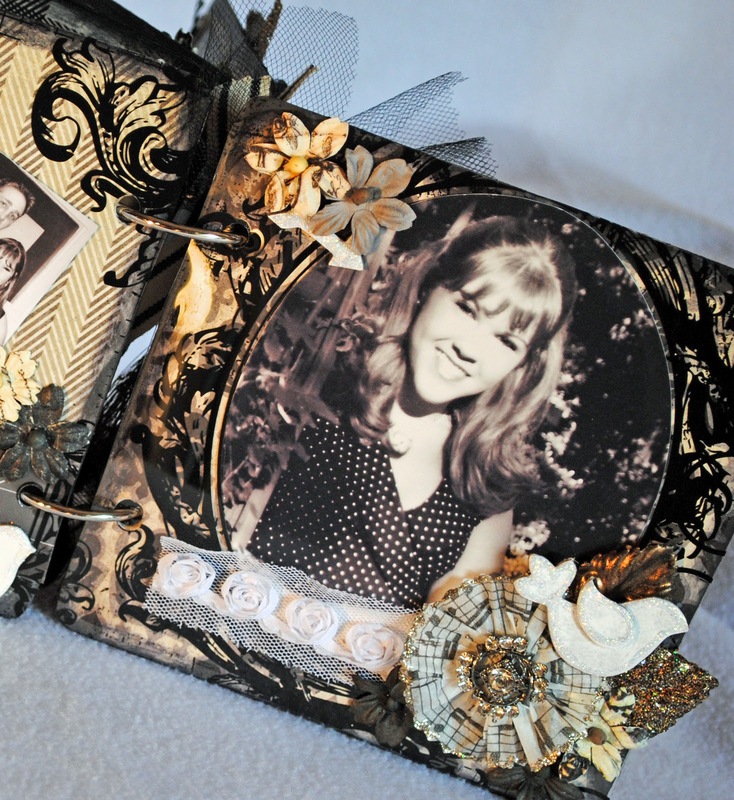 We have two beautiful daughters who are usually the subjects of my pages and albums. Recently I have begun the process of scanning and scrapping my late Grandmother's collection of family photos. I figure this will keep me busy for a while! I have a masters degree in Aeronautical Engineering but I have been a SAHM for most of my adult life. I did go back to work about 5 years ago for a major craft retail chain. 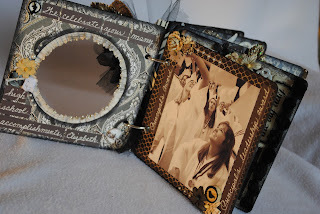 Working interfered with my scrapbooking time so I quit in July 2011 to hang out full time in my studio. These days I am back to scrapping, gardening, cooking and redoing my house. 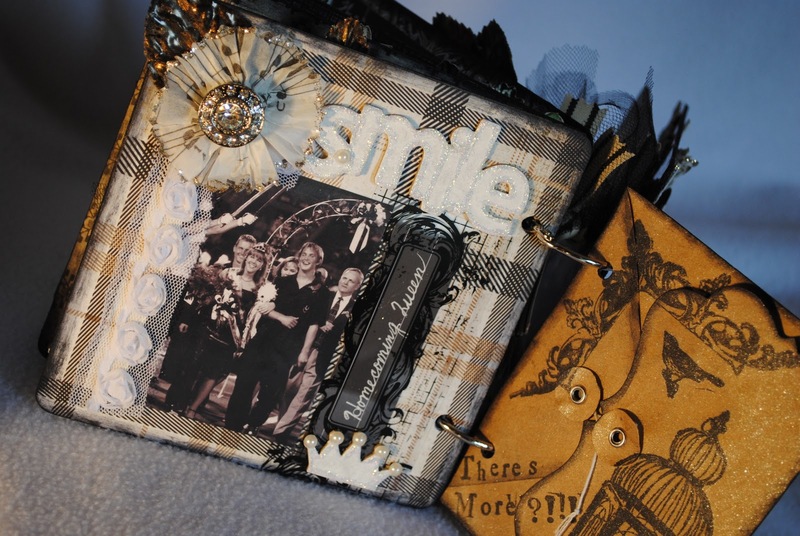 I absolutely love this art called scrapbooking. It is limitless - you can do anything with it. I mainly scrap 12X12 pages and make mini-albums, but recently I have been making canvas art and lots of home decor projects too. I love The Crafty Scrapper and I drive there from my home in Mesquite every chance I get. If my hubby knew how much money I spent there I am sure I would be banned. I am so excited to be joining such a wonderful team of artists on the Design Team. Happy Scrapping!! Look for more of her designs at The Crafty Scrapper soon! This mini album was created for the Crafty Scrapper Design Team and is on display at the store in Waxahachie, Texas. Elizabeth’s senior year in high school is the subject of this sweet mini album. Although I have done larger album pages to chronicle the highlights of her high school days, this 6”X6” mini album is by far, my favorite scrapbooking project that I have created to honor her achievements. My baby girl is now twenty-seven and is a college graduate living on her own with the responsibilities of an adult woman. dear to my heart as the honors Liz achieved in high school. Please come along with me for some "Senior Moments". 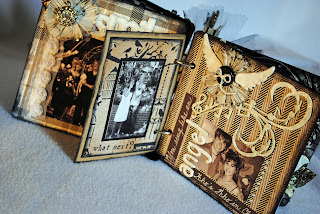 I loved working with a new product out by Tim Holtz Ide-ology. It is called "Tissue Wrap" and it is lovely to work with. In this project I either gathered it, using needle and thread or pleated it, as seen in the above photo. Daughter’s earring that she wore in high school. It is on the front cover, attached to the bottom striped ribbon! Inside the little Maya Road envelope is a list of Elizabeth's activities throughout high school. Thanks for taking a little trip with me down "Memory Lane".